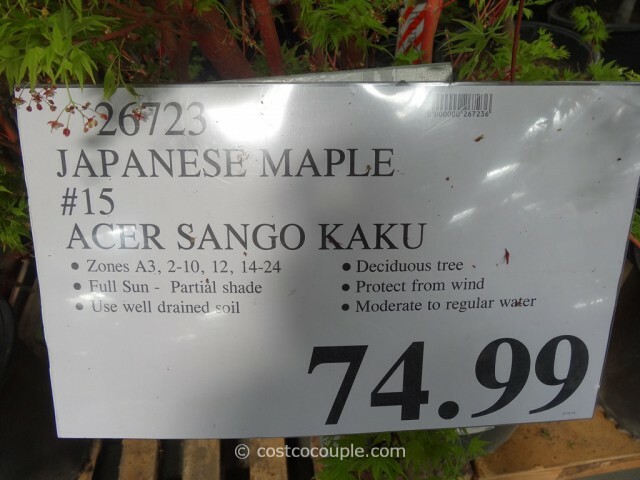 Sango Kaku Japanese Maple was spotted in the store this weekend. 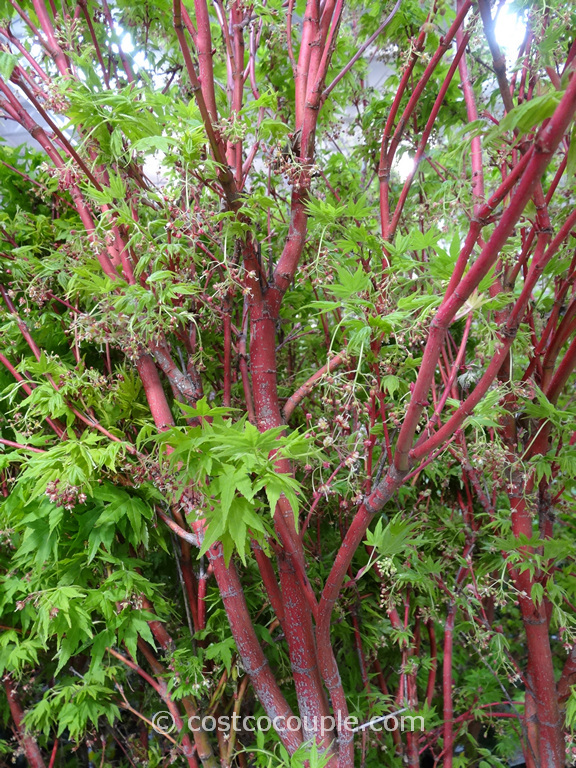 Sango Kaku is quite unique as its trunk and branches turn red in the winter. 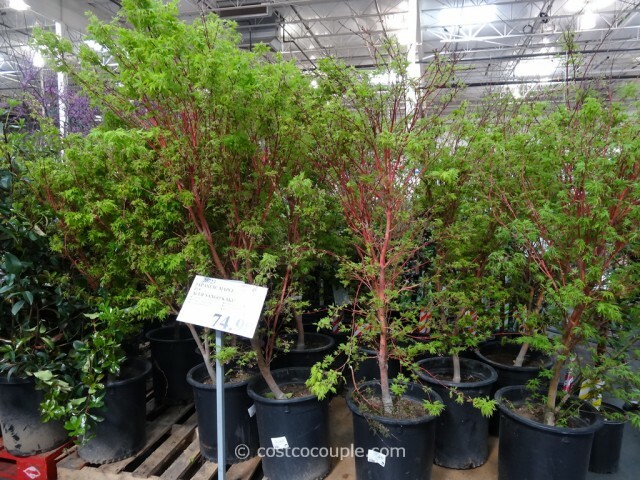 In the spring when the leaves appear, the red trunk and branches really contrast with the bright green color of the leaves. It’s a striking sight. The trunk and branches turn back to green in late spring/summer. From our experience, Sango Kaku is not that tolerant to heat or wind. The edges of the leaves turn brown with heat/wind despite our best efforts to shelter it. Sango Kaku Japanese Maple is available in a #15 container and priced at $74.99.